I'm throwing up this post mostly as a place holder for the final version of the Asteroids clone. I figure we're so close to deadline, I'll just make one post with the final version of the code once it's completed. (Or, more precisely, when time expires). It's going to be close on this project. That being said, I'll toss up what has been added since the last update. I've corrected the rotational issues for the most part, added bullets that can be fired at the Asteroids, and started in with adding the actual Asteroids themselves. I've got to say, getting the collision detection working correctly was quite difficult, but I was able to finally pull it off. So, with that, we have the big Asteroids that get struck by a bullet, and now break into two 'medium' Asteroids. About the only game play issues left to address are to add another layer for when the 'medium' Asteroids breaks into two 'small' Asteroids, the player scoring routine, the ability to enter your initials if you get a high score, collision detection for when the ship is struck by an asteroid, and a display for the number of ships you have left. I will also *probably* add an instructions screen since that is something we have been missing from the last couple of game projects. I've also added the ability to make the game fullscreen (F1), and a global DebugMode Boolean (F2) which will show various amounts of information for catching errors and bugs. 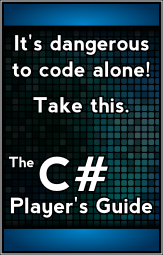 (I had to for this project due to the complexities of managing the sprite arrays and their locations). The debug mode looks kind of cool as it shows the current positions of each sprite, just off to the side of each sprite. As the ship, or a bullet, travels across the screen it's neat watching all the stuff going on in the background, as well as quite colorful. As a last note, I want to add that most Asteroids games include a friction variable in the physics calculations to slow the ship down as it wanders around the screen. Initially I did not include this, and I still haven't at this point. I realized that in space, you have zero, or near zero, friction to slow you down once you start moving so it seemed a little off to include that. However, I would like to hear your input. Adding it in is only a matter of a few lines of code so I guess the question is do we want to mimic others game play, or to keep it realistic. I'm thinking most people added the friction to improve the game play, but I'm finding it just as fun without it. Perhaps I'll just add an option that allows the user to turn friction on and off. I suppose to be ultra-realistic, when adding the friction, it would mostly be seen as the user tries to adjust his trajectory in the exact opposite direction. (IE: to turn the ship around you would have to counter the current velocity until it reached zero and then apply thrust to move in the opposing direction). Any thoughts or ideas are appreciated, I'll do my best to get them incorporated before the end. Well, that's all I have for you all at the moment. Back to coding! Oh, and as a side note. In the Breakout clone, we contained the collision detection stuff within the objects themselves (in the case of Breakout it was the ball). Due to the complexity of this project I realized that was somewhat inefficient. Consider for example, that for collision detection to work in Asteroids, we have to check each active bullet against each active Asteroid. That can be done inside of a double for loop, by scanning each bullet against each asteroid and counting up to the number of asteroids in the array. That always seemed kind of messy to me and not very good code. So I realized, it would be best to have each sprite manage it's own collision detection. It was a little tricky to get worked out correctly, but now things are set up so that you can call a method in the sprite class (dubbed Collision, if you can imagine) and pass in a sprite. The sprite class will simply detect if the two sprites are colliding and return a true or false. This has been implemented through the Sprite Array class as well, so you can check an entire array for collision simply by calling the array's collision routine, which then calls each sprite elements collision routine. It's the same as a double for loop but it's abstracted in a way that you only have to make one call with the sprite you wish to check. Probably sounds way more complicated than it actually is, but you can check out the newer framework once it gets posted and decide for yourself! Salutations! Here's the final code for this game challenge. I'm going to just supply the link for a download if you want to check it out for now. I'll be doing another write up on the things that could have gone better pretty soon. I really procrastinated too much on this and rushed to get things completed on time, which is never good. Anywho's it still plays although the collision detection has some issues, both in the bullets and the collisions with the ship. Thought I'd go ahead and do the post mortem for this project. First off I'd like to say that this project turned out to be quite a bit more complicated that I had thought. The stuff I did with the rotation was all new to me, and it took a learning curve to get things where they are now. If we were to go by the metrics we used for the Breakout clone, that is: a functioning game that doesn't crash, has game play, and has an ending, then I'd say we did pretty well. However, there are some issues with the collision detection, and I believe a lot of that had to do with me not making enough time to be able to play and beta test. I could have, I should have, but I just didn't. And that is another reason this could have been better. In addition, while there is game play, and an ending if you lose all of your ships, in the rush to get the code posted, I never added the functionality for the game to repopulate the asteroid field if the player clears the level. So, in a sense, the game is still unfinished. I'm sure at some point I'll add a 'full' version of the game as I nit pick away at the little incomplete bits. I'll probably be doing this at the end of the space invaders challenge, where I will also post an updated 'Breakout' which has some refinement as well. So there are the bad things. I expected an easy time for the game, put it off too long, and then rushed to get it finished. There are some good things that went on in this project though. For one, the built in rotation functionality of the sprite class has gotten much better. I've refined how everything was handled and cut out some redundant code. I've also added some properties to the class such as ScreenWrap, which will wrap the sprite back around the screen if it goes out of bounds, and a Collision method which will check to see if the sprite collides with another (passed in) sprite and returns a Boolean. The Sprite class was not the only upgrade to the 'framework' code. I've also added a SpriteArray class which allows you to manage a collection of sprites as if they were a single object. (You can Initialize, Update, and Draw them all with a single line of code for each, respectively). The Sprite Array class also contains a Collision method which checks all of the given sprites in the array against the incoming sprite for a collision and again returns a Boolean. 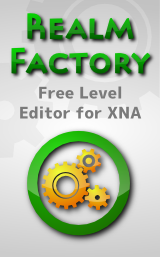 The XNAObjectCollection class and the GameObjectCollection class have been put under the control of the StateManager class. This cuts out a lot of passing the classes back and fourth and creates a central location for all of our game classes. In addition, I added some properties for the viewport width and height into the XNAObjectCollection so if needed, you just reference them instead of having to make a new call to retrieve the values. There are a couple of places where this is used to control the screen wrapping feature and it seemed like something we would probably use at least semi-often so it seemed appropriate to have them ready to go. One of the things I neglected to do with the Breakout clone was include a fullscreen version (maybe that'll be in the march release! - although it will take a good amount of reworking), however I added that in the Asteroids rip-off (F1). Also, the Asteroids uses a specific screen resolution (1024x768 I believe) which I normally don't address. This was just for testing, so feel free to change it. I also added a debug mode instead of commenting/uncommenting particular lines (F2) which helped. The Space bar will pause the game action although you can still rotate the ship. After some issues I've realized space maybe wasn't the best choice, so in the future that will change. Another big mistake I made on this particular project was to incorporate the ship into the GamePlay state. Normally, the ship should be an object in its own right. For some reason when I started that I was just thinking, "We'll it's just one sprite, I can manage it in the state class." Turned out to cause some problems, and I truly believe this is whats affecting the collision detection, but again, due to my lax attitude at the beginning of this project, I didn't have time to iron out all the details. So, just like the Breakout project, we have a few bugs/issues with the collision detection, but still a playable game. If I were to go by RB's rules for our next game challenge, and look at the definition of "Sellable" to be the achievement mark for this game, I would have to say "Failed, but fixable". It's a good start, but needs more refinement. Thanks all for your ideas and support, and I look forward to any comments, suggestions, or questions you may have. Have a great day! So, Lirinear and RB and I were on the IRC channel discussing the Asteroids clone. This made me go back and look at the marks I used to judge this game. I have to say I am somewhat of a perfectionist, which to me, when it comes to coding, should be the norm and not the exception. However, RB granted me quite a bit of encouragement, and as a result, I have changed my mind on this game. I do give it a passing grade going by the 'official' rules. Even though there are a few issues, they are rather minor. And even with the collision detection issue, things do work for the most part. The rules do make allowances for such things, and in reality, trying to pump out a 'complete' game in 30 days is rather difficult.